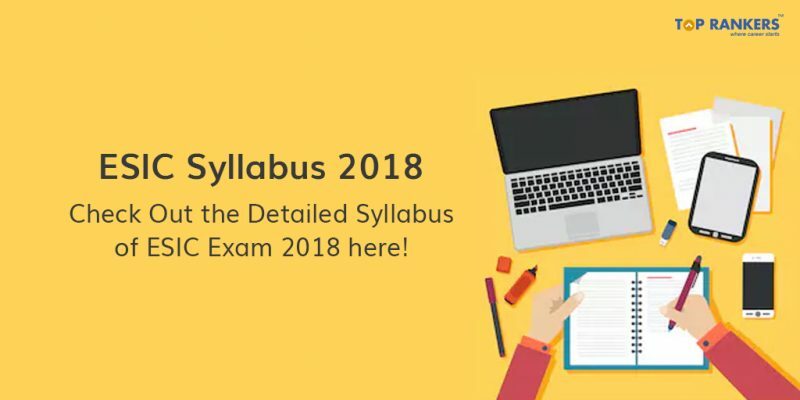 ESIC Syllabus 2018 – Have you applied for the recent ESIC Recruitment 2018? Then read further to know the syllabus for ESIC Exam. ESIC Exam Pattern & Selection Process 2018 – ESIC recruitment is released to fill 539 Vacancies for the post of Social Security Officer, Manager Gr-II & Superintendent. Earlier, the notification was released in 2014 and candidates who had applied for the recruitment advertise need to apply afresh. The ESIC Exam Date is out & the prelims exam will conduct on 3rd Nov 2018. We insist you to go through the detailed ESIC Syllabus below. So how did you like our article on ESIC Syllabus 2018? Tell us in the comment section below. Also, do not forget to follow us on our social media pages to never miss any updates.